Concept of one page website design is on boom these days. More and more business owners particularly from the field of arts like photography, graphic designers, architects and similar are looking to get their website run with the minimum pages and showcasing only the important stuff. Such website looks good when they are filled with creative graphics and motion that make glides on the page. However, the question arises quite often for such website is to know that how you can do an SEO for such sites. We often get inquiries from such website owners and webmasters to know what all needs to be done for SEO of such sites. 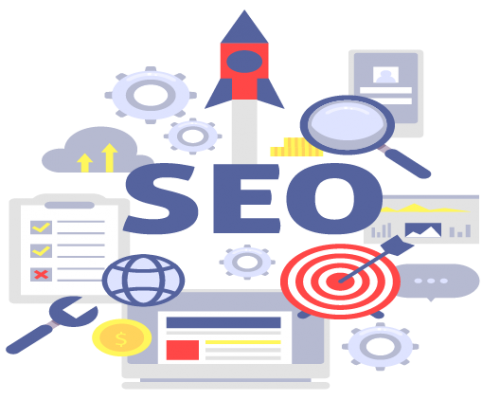 As a strategic SEO company in Ahmedabad, we analyze such website and suggest some tactical changes to their site that helps them to improve their ranking. However, this is not true as altering the structure of singe page size is not the right solution for getting it to rank. Our expert team of ranking optimizer and experienced SEO consultant have suggest some important changes to be made on site to get better presence and ranking for targeted keywords. There are certain things by which you can improve your domain / website authority for search engines. Gain some good inbound links from the other website which is on similar subjects and gain higher popularity. It will support the fundamental algorithm of Google to work on one website votes to other. Also it will help you to gain better Page Authority or Page Rank that overall helps your search marketing rankings. Search engine spiders look for relevant and unique content on your website that is not only rich with key phrases but also useful for readers to get exact information they are looking for. There are chances that singe page website will give you a good rank for single set of keywords. Also consider the latest update of Google named as Hummingbird Update for writing content that is more natural and targeted to human conversations. Also optimize heading tags, bold and underline tags for content to highlight the key product or services. Hey! Are you looking for SEO company in Ahmedabad? Images, videos and flash files are less supportive to Google and considered to be least as a ranking factor for your website. However, smartly you can optimize such media files by adding proper tags and titles to them. You can also use your targeted keywords into file name that you upload and give them the URL that is keyword friendly. Also make sure if you are bringing video from YouTube them optimize the video page with unique and ample content mentioning the core subject. This will improve the core value of video and thus help your page to rank top for that keywords. We know it sounds quite strange when we talk for Anchor Links for one page website. However still you can manage the same by giving Anchor Links to specific portion of the page at the bottom part. This will help both visitors and crawlers to get idea about what the content is. This is also important as it motivates users to click on your website link when it appears on Google and for crawlers it is important to get specific knowledge about the core subject of that page. Following such techniques will surely help your website to get better presence on search engine result page for your set of targeted keywords.